Organizations change for a number of different reasons like Crisis, Performance Gaps, New Technology, New Opportunities, Uncertain Market Conditions, Customers, Competition, Changing regulations, Merger and Acquisitions. Change Management Training is required both for improving organisations effectiveness and for Organisational Survival. The need for Change management Training is an important aspect for adapting with ongoing change, handling uncertainties and competitive threats. While Change Management Strategies and Processes identify the need for change and ways to implement change. The most challenging aspect of change is usually the Change in Human Behavior and the readiness of the leadership teams to become change agents and drive change across the organisation over a period of time. Organisations that go through change have to often deal with resistance to change. There are Several reasons for resistance to change and if properly understood, effective steps can be taken. The advantage of simulating change via experiential learning actvities brings out these unknown and hidden aspects of resistance to awareness and invite steps to deal with them. The Change Management Training programs are based on expereintial learning and utilize real time simulations to test the readiness, obstacles and drive for change by letting the participants experience change through experiential group actvities. The Change Management Training focuses on applying the principles of change management through experiential learning, and motivating participants to experience, reflect and learn crucial change lessons that can be applied back at the workplace in areas of change strategy, change processes, leadership and change drive. 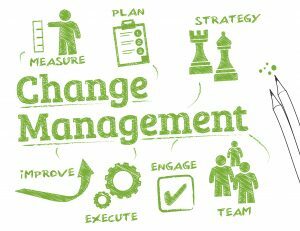 The success of change management process largely depends upon effective planning, establishing of objectives, communication of objectives to the people involved in it and establishing of the required framework to deliver the expected goals or outcomes. 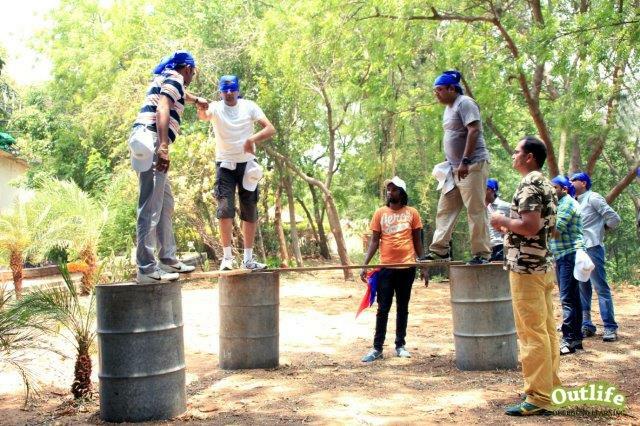 Leaders learn better if they analyse change in a safe outbound learning environment. This helps them to determine what, how and why their actions result in success or failure. The Change Management Activities take place in real time, there is no ambiguity about success and failure, and the participants receive immediate feedback about the efficacy of their actions. The facilitators observes the behavior patterns and brings awareness to the behaviors of the participants towards change through reflection and debriefing process. This retrospective or reflective learning is effective when leaders go through an experience, reflect and learn in a safe learning environment and apply the learning successfully in the future. Assess the skills required to act through the change process. Everyone involved in the learning simulations has to negotiate new situations and respond to change and challenges with which they are unfamiliar. They have to use personal resources in different ways and adopt new roles strategies and skills, not used in every day life. Given such circumstances, initiative, stamina, fear, self confidence, talents and vulnerabilities emerge that may not have been previously recognised. Through the debriefing session the participants are given the chance to clarify and express what they have experienced. Our Change Management Programs takes customized approach to its design after assessing the change process, learning objectives and desired outcomes of the specific organisation, industry, team and participants. The Design of the Change management models utilizes industry models around change management that become part of the learning and debrief process. 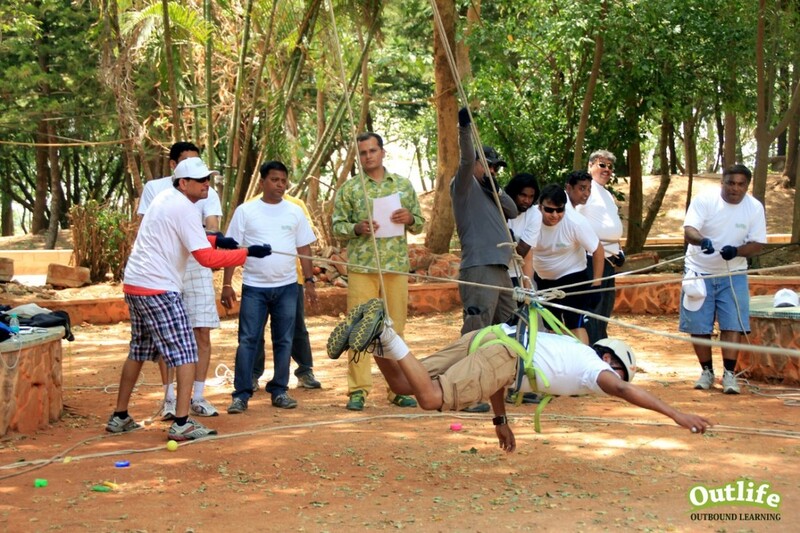 The Experiential Activities in for change management include a mix of outdoors actvities, team building games, management games, group discussion, role plays, theater, psychometric instruments and case studies that are focused on bringing out behaviors required for change management. Change Management Programs are challenging and require post program Coaching and Mentoring to help the leaders implement the learning and strategies back to the workplace and deal with any setbacks, challenges and obstacles. 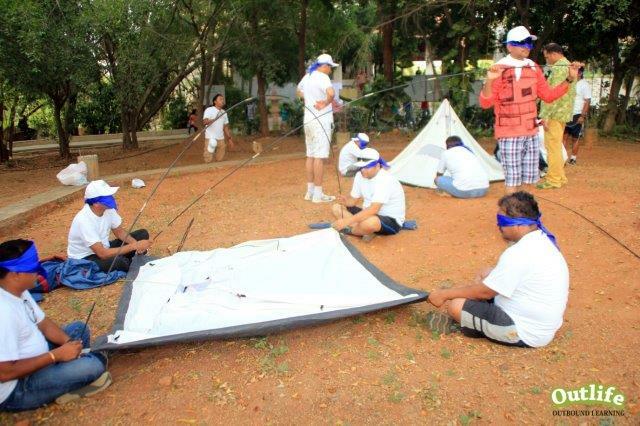 ​Our facilitators offers periodic mentoring and coaching after the program to help the participants implement the learning and change strategies effectively. The Change Management Programs are specially facilitated by senior facilitators with decades of industry experience in a senior management or executive management role and having over a decade of experience in Organisation Development, Training and Facilitation. Change Management programs require minimum 2 days and upto 5 days of training interventions. 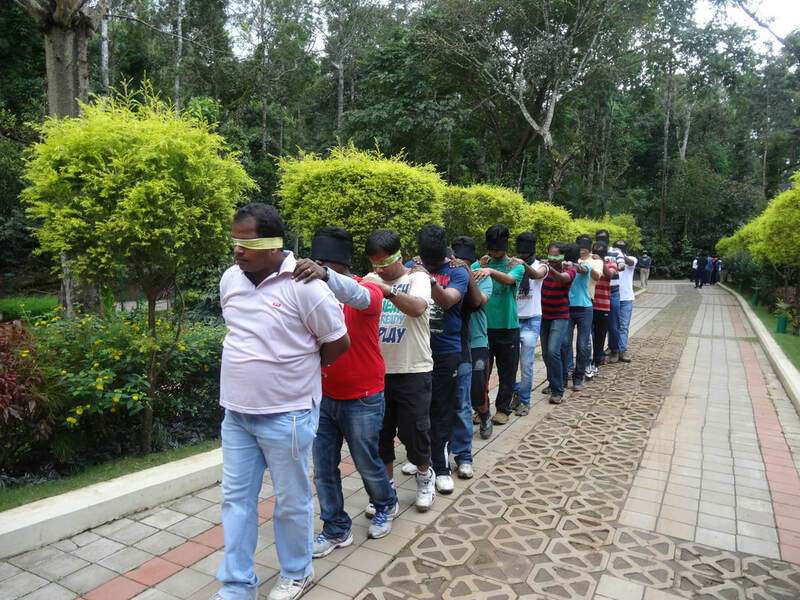 The programs are conducted in a residential setting for creating a maximum immersion and impact. Principal Consultant, " Outlife Outbound Training"